Two-storey house with mountain views! Property 14: Two-storey house with mountain views! Property 15: Charming new seasideaccomodation. Yes you deserve this comfort, warmth and style ! Double glazed sunny and warm ! Property 23: Yes you deserve this comfort, warmth and style ! Double glazed sunny and warm ! Panoramic Fiordland Views from sunny warm rooms. Fresh Clean Linen included 😀! 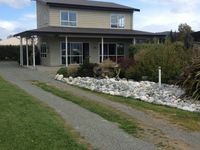 Property 24: Panoramic Fiordland Views from sunny warm rooms. Fresh Clean Linen included 😀! Property 33: Location ! Location ! 3 mins walk from bars, cafes and etc. Family friendly. View On Worsley - Fiordland and Milford Sound! Property 34: View On Worsley - Fiordland and Milford Sound! Westmere Lodge-Clean,modern home moments from Doubtful Sound departure point. 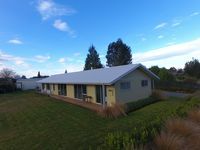 Property 44: Westmere Lodge-Clean,modern home moments from Doubtful Sound departure point. Very well appointed house with enough space for a group to enjoy. Bedrooms upstairs were good size. Enjoyed the table tennis table. The kitchen had everything we needed. Beautiful modern house with everything you need. Highly recommend.